High performance gears manufacturer Albins Performance Transmissions will expand its operation in Ballarat thanks to a funding support from the Victorian State Government. The funding – awarded under the Government’s Regional Jobs and Infrastructure Fund – follows last week’s grant award under the Future Industries Manufacturing Program and will see the company expand its warehousing and administration capacity, as well as upgrade its materials handling and other equipment. 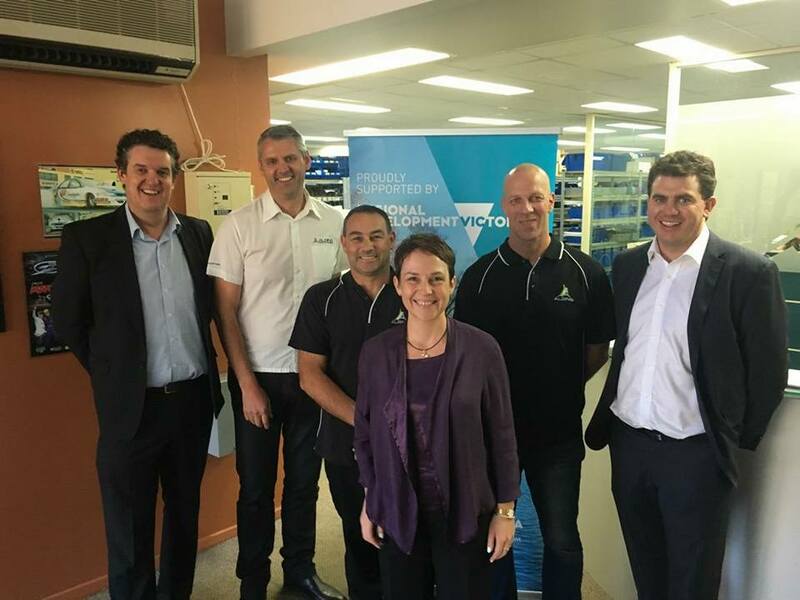 In announcing the investment during her visit at Albins’ premises in Ballarat on Wednesday, Minister for Regional Development Jaala Pulford said the upgrade will allow the company to double their output and increase their export market potential, in addition to creating 20 new jobs. “The success of Albins shows just how strong our local manufacturing industry is. This expansion will help Albins continue to go from strength to strength,” the Minister added. Founded 37 years ago In Ballarat, Albins is a renowned manufacturer of motorsport drivetrain components and the largest manufacturer of high performance transmission in the southern hemisphere. The company’s capabilities include the production of individual gears, axles, drive flanges and ring and pinions right through to complete unit, sequential shift transmissions.